“I am petrified of my child choking”. This is so often the answer that parents respond with when you talk to them about worse fears. 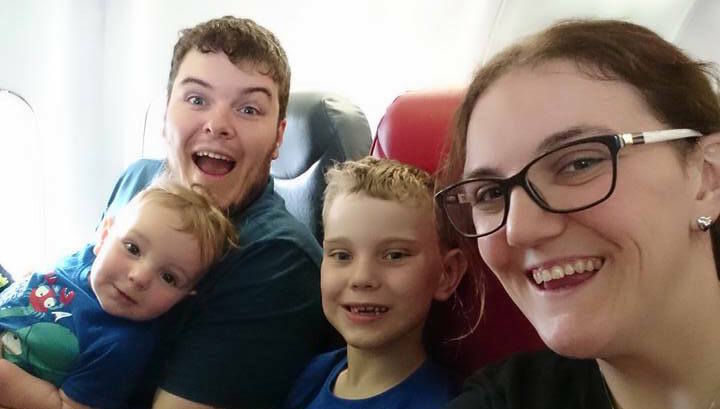 Last year, Carrie, mum to two gorgeous boys, James and William shared her story with us. We knew that you would want to read this again. After attending one of Claire’s Mini First Aid North Leeds classes, Carrie knew exactly what to do when her seven year old son, James choked on a piece of food at dinner. So Carrie can you tell us what happened? After attending my Mini First Aid class, I had taught my son James that if he was choking or couldn’t breathe, he should slam his hand down on the table as hard as he could to get a grown up’s attention. William is only 1 so he’s a little young to learn yet! I had learned in my Mini First Aid class that if a child is choking they go silent and I was worried that if my back was turned I might not notice. When James actually slammed his hand on the table that night, I turned round and was about to tell him off when I realised he had gone blue and was choking. I used the heel of my hand between his shoulder blades to slap James on the back. If I hadn’t attended a Mini First Aid class, I would have simply used my hand to slap James’ back which wouldn’t have been as effective. You must have been so scared. Inside, I was panicking but outwardly I stayed calm which I know helped James. I know it is the Mini First Aid class which helped me stay in control even though I didn’t feel it. Did what happened to James affect you afterwards? Definitely. I still read my Mini First Aid booklet every few months to refresh my memory. I told friends and family that if they were looking after James and William they HAD to do a Mini First Aid class. I organised a private class with Claire to give us peace of mind that everyone caring for the boys would know what to do in an emergency situation. Is there any advice you would give to parents yourself? 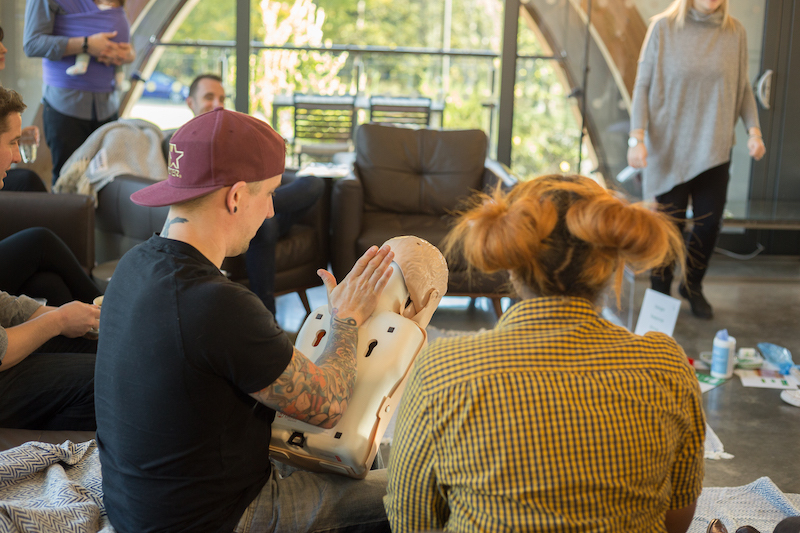 Every parent needs to do a Mini First Aid class AND regular refreshers. Don’t just do one class and think you’re fine. Book a refresher and regularly read through the booklet you are given in class. You just never know when you might have to use what you have learned. Would you know what to do if your child was choking? Please SHARE this story with your friends and family and make sure everyone looking after your child has basic and emergency first aid knowledge.